This batch of photos was taken on Oct 11-13. Between this post and the last, I had taken an awl and incised the outline of all the areas that would be gilded. This way I would be able to paint over the pencil lines and still have a clear guide as to where the metal leaf will go. All the areas that will have the metal leaf have to be painted with a red earth tone. Otherwise the metal will look cold and greenish when it is applied. I'm just using acrylic burnt sienna here. Here I'm applying the acrylic base color for the visible portions of the cross. I pre-mixed a generous amount of this bluish color in a baby food jar, in case I need more of it. It's very difficult to match the same color again if you run out. I applied at least three coats of the blue, being very careful this time not to go over the incised lines. If I hadn't inscribed the letters at this point, I would have no guide. But you can still clearly see the letters, even though they've been painted over with several coats of acrylic. Since this is a model, I'm using the composition leaf I have on hand instead of real gold. In order to apply the leaf, I had to carefully apply the size (glue) to only the areas that would be gilded. This particular size has to dry for about an hour before the leaf can be applied. The tricky part was that it took almost an hour just to apply the size to the letters. So I couldn't apply the leaf all at once. I cut the 5 x 5" sheets of leaf into smaller pieces with a knife on a leather pad. Using a fan brush, I picked up one piece at a time and laid it over the size. After all of the leaf has been applied, the excess needs to be brushed away. I started with a the fan brush, but it eventually required a brush with a bit more stiffness to it. Afterwards, I repeated the same process for gilding the halo. Cleanup is surprisingly easy. You can just sweep up the loose bits of leaf with a soft brush, and the static causes them to stick to the bristles. I had planned at this point to continue on and gild the frame and molding, but I feared it would take at least a week to finish, once I had started. I decided to skip gilding the frame until after the art show—finishing the painting is more important right now. Please forgive another quick photo dump! These photos were taken on Oct 9th and 10th. I redrew the sketch to be more anatomically descriptive, so I needed to make another full-scale cartoon in order to transfer it. Using my ink jet printer, I printed a tiled version of the sketch from Adobe Acrobat, then trimmed and assembled the pages with tape. This is much faster and more accurate than using a grid or a projector, and it costs only pennies. You can see from the sketch that instead of shading it smoothly, I've outlined geometric shapes that approximate the light and dark areas. The curved contours have also been converted to more angular shapes. This will make it easier to transfer, and will help with the shading in oil paints. 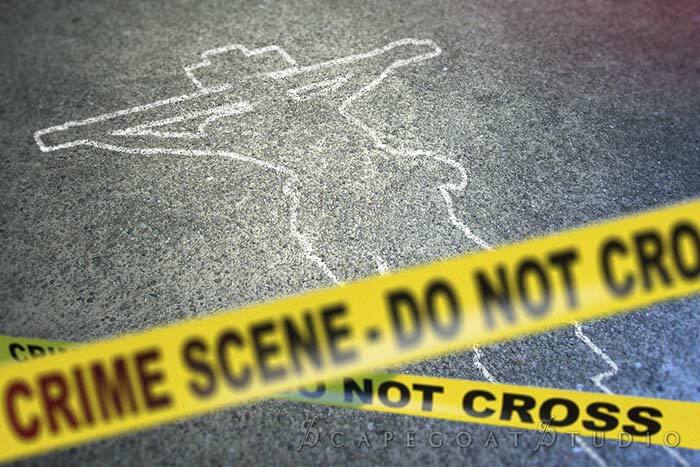 After the drawing is assembled, I laid sheets of tissue paper over it and traced the drawing onto the tissue paper. (You can find large rolls of tracing paper, which works better, but I don't live near any art supply stores, so tissue paper works almost just as well.) Regular paper is too thick to allow pen strokes to transfer through to the graphite paper, so you need to use tracing paper or something very thin. The cartoon is trimmed for accurate positioning. save a step. You can see the graphite paper underneath. gold leaf, which extends into the cross an extra .75 in. I've been so busy lately I have not taken the time to post any process photos from the crucifix. These will not bring you totally up to its current state—they were taken between Sept. 18 and Oct. 9. Please forgive me for just dumping these without too much explanation—I've got to get back to work. I have less than two weeks to finish it! gesso, so I screwed two 1x2s to the back to straighten it. help give the impression the corpus is overlapping it. and sculpted the corners if they weren't perfect. All of the molding is in place. ready to apply the drawing to the cross! This series of posts discusses a book written by a professor at Carthage College, published by Concordia Publishing House, and used as a required text at Concordia University NE in the 1970s. It is entitled "The Christian Encounters the World of Painting," by Wendell Mathews. The book purports to be a guide for Christians to approaching and critiquing modern painting. While claiming to be a proponent of Christian art, Mathews is clearly part of the problem—he is one of the many Christian voices that contributed to the murder of the liturgical arts in the past century. I intend to show exactly how. In his book, Dr. Mathews wields four weapons against the art of the Church. Not surprisingly, they are the standard poison of Modernism, but have been carefully disguised with theological language in order to be more readily swallowed by Christians. They are: 1) undermining tradition, 2) promoting elitism, 3) attacking semantics, and 4) fostering an improper view of vocation. Okay. So by this are we to believe that when people no longer know what a shepherd is, we should substitute "Jesus is my homeboy?" Well, he has an answer for that. I suspect that it's rare for someone to so thoroughly shoot himself in the foot as Mathews has done here. So far, this has been his only concrete reason for doing away with "past styles" of art, and it really has nothing at all to do with the styles, but with the substance. But after saying that symbols that no longer communicate should be replaced with new symbols, he then rebukes this viewpoint as a weakness of faith. And even though he argues that only biblical symbols should enjoy a special protection from disuse, it still requires educating the believers as to their meaning and value. What possible excuse could one have, then, for ignorance toward other well-established but non-biblical symbols (for instance, the Chi-Rho)? None whatsoever. This leads us to conclude that this cannot be his real and only reason for marginalizing Christian art of the past. Dr. Matthews' motives are only hinted at when he defines what "authentic" art is: "A Christian painting should be authentically artistic. In the world of painting, a work is authentic within a particular cultural and artistic continuum. 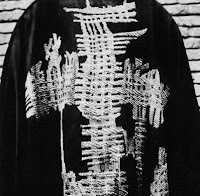 "4 He goes on to say that "individual style, however, should show also the style of his own historical and artistic epoch. "5 This is his ace in the sleeve. Whatever a person might say about timelessness, symbolism, or the power to communicate, he can simply counter by saying, "But that art does not participate in the current artistic idiom; therefore it isn't authentic." So let's recap. Remember how Mathews began by saying that certain styles cannot "relate adequately to the present age?" As it turns out, that was just the first part of a classic bait-and-switch. His argument really has nothing to do with whether or not past art can relate or communicate with Christians today, because he knows this argument has no legs. Instead, he tries to convince you that any art that isn't a product of the mainstream culture cannot ever be "authentic." 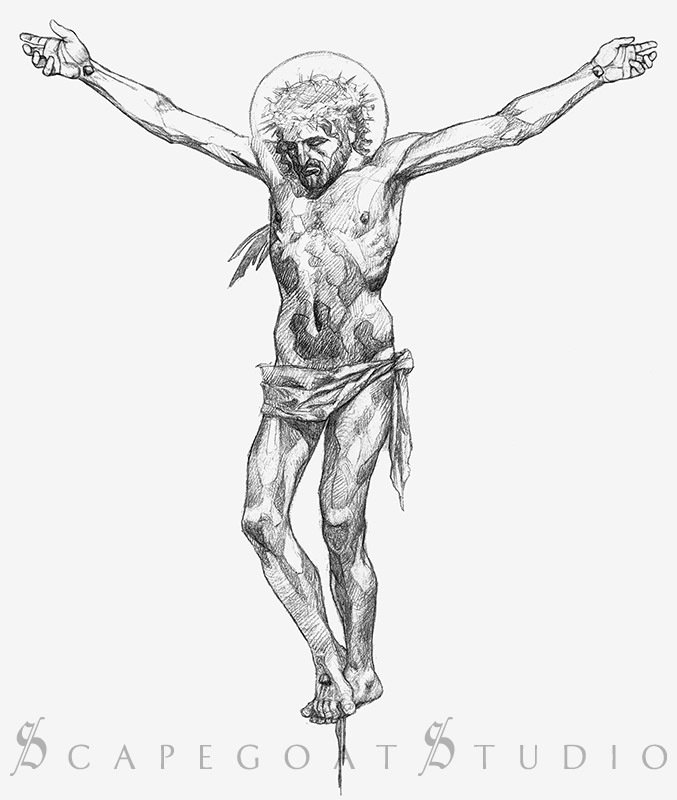 Why is this dangerous to Christianity—and how did it kill liturgical art? The wording is theologically vague, but I think we could all agree with that statement. However, the problem is that what Mathews calls mediation is, to him, social activism. "This acceptance of responsibility means having a critical voice regarding cultural elements contrary to Christian truths. "7 The most charitable view of Mathews' writing would be that he wants art to engage nonbelievers in a theological dialogue. But this is impossible. You can tell the Parable of the Good Samaritan to an atheist, and he will fancy himself to be the Good Samaritan. Images do not change a person's orientation to God. As highly as I regard ecclesiastical art, it does not have the power to evangelize nonbelievers—it is not a means of grace. Besides the futility of this supposed evangelism effort, all it has accomplished is to scrape the beauty and meaning from art in order to present to an unbelieving culture something that Dr. Mathews hopes they can "relate" to. Where does that leave Christians? I did not find one single sentence in the book that distinguished art made for galleries from art made for worship. To Mathews, I suspect that they are the same thing. And this is why it is so fatally damaging to liturgical art. 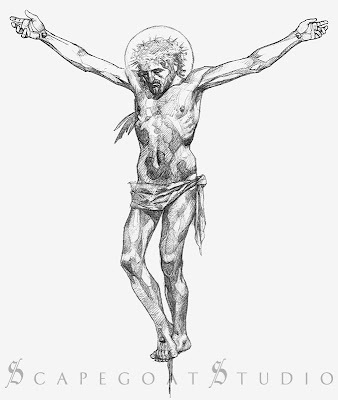 In 2000 years of art history, Christian art was made primarily for either devotional purposes or for worship. In both respects, it was made for Christians. No one deluded himself into believing that showing an image of Jesus would convert the heathens. (They suffered from other delusions, but probably not this one.) So it is exceedingly stupid to expect that the church of this age should lower its artistic standards to the tastes and aesthetic of a culture that is in every respect ruled by Satan. But the biggest reason why this disconnect from tradition is damaging to liturgical art and to Christianity is that, while attempting to use the visual language of Modernism, it has jettisoned the narrative of Salvation in exchange for the subjective feelings of the artist. Modernist painting and sculpture, because it abandoned representational art, could only use abstraction to convey a visceral, barely definable, subjective experience. This art is incapable of expressing the reality of the Incarnation, because it refuses to acknowledge any reality at all. History has now played out this costly artistic experiment. It has failed utterly. The attempt to make Christian art that "relates" to the iconoclastic culture of our times has resulted in: no significant theological dialogue, no new converts as a result, a Christian church disenchanted with art, talented artists who have either been estranged by the church or who have squandered their talent in an effort to gain mainstream acceptance, and a lifeless body of liturgical art. 1 "Come on! Set fire to the library shelves! Turn aside the canals to flood the museums! ... Oh, the joy of seeing the glorious old canvases bobbing adrift on those waters, discoloured and shredded. ... Take up your pickaxes, your axes and hammers and wreck, wreck the venerable cities pitilessly!" Filippo Tommaso Marinetti, “The Foundation and Manifesto of Futurism” (1909), quoted in: Michael Darling, Target Practice: Painting Under Attack, 1949-78 (Seattle: Seattle Art Museum, 2009), 130. 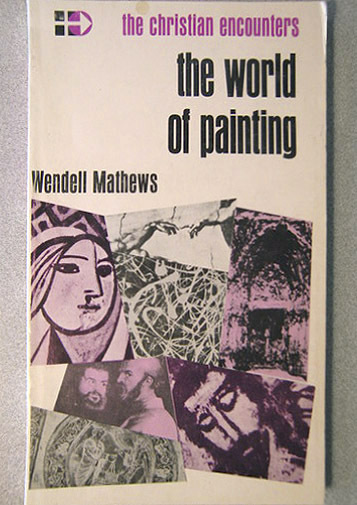 2 Wendell Mathews, The Christian Encounters the World of Painting (St. Louis, MO: Concordia Publishing House, 1968), 92.